Everything You Need to Know about Fintech in Indonesia Review by Michal Wasserbauer on 16. 1. 2018 Company Registration in Indonesia, Market Research in Indonesia, Work Permit in Indonesia, Product Registration in Indonesia, Local Partner Selection in Indonesia, Trade Mission in Indonesia, Company Formation in Indonesia, Company Establishment in Indonesia, Company Set Up in Indonesia, Payroll Outsourcing in Indonesia, Tax Reporting in Indonesia, Medical Product Registration in Indonesia, Medical Device Registration in Indonesia, Cosmetic Registration in Indonesia, Food Supplement Registration in Indonesia. 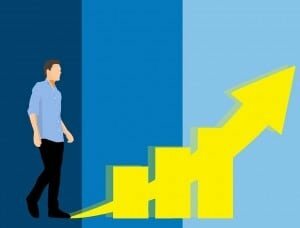 The booming economy in Indonesia has carved a clear path to leverage FinTech startups and fintech in Indonesia became one of the most promising industries. But what is FinTech? FinTech, or fintech, is an acronym for financial technology. It is the new technology and innovation that set forth to create a better financial landscape for both consumers and businesses. It is also said to compete with traditional financial methods in the form of delivery. With US$500 billion of infrastructure investment planned for the next five years, the emergence of new markets of FinTech sector in Indonesia is set for a new path. With the high-middle class growth, Indonesia is now a country with high internet penetration. More than that, Indonesia serves as a fertile land for FinTech growth especially markets for lending, cards, and payments. More than 150 FinTech startups are found in Indonesia, a growth of 78 percent since 2015. Some of the promising FinTech startups in Indonesia include Jurnal, Cashlez, TunaiKita, Payfazz, and KoinWorks. In Indonesia alone, 44% of FinTech companies are payment service providers. This article intends to provide a comprehensive view of FinTech landscape in Indonesia, its viability and challenges, as well as give insights to financial services, regulatory sectors, and most importantly FinTech startups doing business in Indonesia. FinTech refers to a company that makes use of technology to offer financial services, examples of FinTech companies in Indonesia might be Kartuku, HaloMoney, Doku, and Veritrans. The rapid growth of FinTech space unfolds substantial opportunities and Indonesia is one of those countries adopting the emerging technology. In addition to that, the large unbanked population in Indonesia has spurred innovation. Adoption of mobile banking and FinTech changing the financial landscape in Indonesia. The finance sector is lead by three state-owned banks—Bank Mandiri, Bank Rakyat Indonesia (BRI), and Bank Negara Indonesia (BNI); and one private bank—Bank Central Asia (BCA). Based on Indonesia Banking Statistics, this category takes up 41% of national lending. Six sizeable commercial banks with 16% retail and corporate lending in Indonesia are CIMB Niaga, Danamon, Permata, Maybank Indonesia, Bank Tabungan Negara (BTN), and Panin Bank. 33% of national lending presents at these smaller commercial banks: 9 branches of foreign-owned banks, 12 joint-venture banks, 27 regional development banks, 13 Shariah Banks, and 44 conventional banks. 2% of national lending presents at the 1,630 rural banks and other microfinance institutions in Indonesia. BPRs has a limited scope of activities compared to commercial banks and thereby less attractive to customers. More than 200 multi-finance companies in Indonesia offer a total of 8% of national lending. They are licensed to offer leasing, credit card financing, consumer financing, and other lending services. These companies include Adira Dinamika Finance, BFI Finance, Clipan Finance, and Astra Sedaya Finance. It is at the blossoming stage for crowdfunding, peer-to-peer (P2P) lending and other alternative up-and-coming FinTech lenders. Most platforms are in testing phases and are set to reach a critical mass in the not too distant future. With significant investments from large foreign investors, e-wallets are now expanding with rapid increase of customers. There is a great opportunity for FinTech startups in Indonesia given the uneven availability of finance and low levels of financial inclusion. FinTech has achieved initial mass adoption in most countries and has gained significant market traction for the under-served populations. According to a 2017 survey done by Hootsuite, out of the 4.153 billion total population in Asia-Pacific region, there are 1.909 billion of internet users, 1.541 billion of active social media users, 3.999 billion of mobile subscription, and 1.441 billion of active mobile social users. Since 2016 in Asia-Pacific, Internet users is growing at 15%, active social media users at 25%, unique mobile users at 4% and active mobile social users at 35%. At least two or more FinTech services are used by each consumer. According to EY FinTech Adoption Index, there is an average of 33% FinTech adoption globally. An average of 84% of consumers is aware of FinTech—a whopping 22% growth compared to the 62% in 2015. Indonesian FinTech Ecosystem includes savings and investments, money transfer and payments, point of sale (POS), lending and borrowing, accounting, comparison, financial planning, crowdfunding, and cryptocurrency. Money transfer and payments take up the highest percentage—50%, in all FinTech Ecosystems with the most digitally active customers. While China is the clear leader in this emerging market of FinTech in Asia, Indonesia is now following suit and poised for growth. Strong growth recorded in investments into FinTech startups also signal the future potential of the sector. Being an archipelago country with 17,504 islands, limited infrastructure and credit information, FinTech in Indonesia has the ability to solve the financial inclusion challenges in Indonesia. FinTech startups are introduced in the favour of helping the backing sector to conquer the limitations of topography, reaching out to more remote areas. Moreover, being the major players in the Indonesian banking market, bank institutions did not bother much about a customer friendly approach. Confusion and complications became a routine when issuing bank loans or searching information. Thus, FinTech in Indonesia is a sector with a great potential. As mentioned, FinTech sector especially lending will continue to grow. Its expansion will support small and medium businesses in Indonesia, as the main reason for their low productivity is due to poor access to financing. The positive shift of customer’s behaviour towards digital services is obvious. This is because they see this financial technology very convenient; you can assess anytime, anywhere with any devices—in comparison with bank services that require submission in person. To reach the under-served segments and provide everyone lower transaction fees, government enhance the access to financial services. Small and medium businesses are having a hard time making use of particular banking services due to the highly restricted bank loans. A few years ago, 99.5% of transactions in Indonesia were in cash. However, now we have witnessed the increased popularity of cashless transaction, with the emergency of FinTech startups. As of December 31, 2016, there were more than 17.4 million credit cards issued in Indonesia. For that, Indonesia is expanding FinTech in key financial services including payments and lending. We see a lot of exciting trends driven by payment gateway providers such as DOKU, Midtrans, and Xendit, with hundreds of other FinTech innovations on the rise. The credit card as a preferred payment, for example, it is convenient because there is no need for consumers to search for an ATM or to have some cash on hand. A credit card is also a great way for record-keeping with regular transaction statements for expenses and spending tracking. With the increasing use of e-money products, the volume of bank transfer and online transactions is growing in Indonesia, even though the preferred payment method is still cash. The growth has shown no signs of slowing with FinTech startups around the world, including Indonesia pushing for a cashless society. Indonesia is one of the highest unbanked populations in the world. Among the 58 million of small and medium enterprises in Indonesia, only 12% have access to credit because of the deficiency of credit history, statements or collateral. And even more shockingly, these small and medium businesses contribute 60.3% of the total GDP in Indonesia. The Indonesian government is, therefore, pushing for financial inclusion. This is done in order to open up opportunities for institutions with traditional finance model, and FinTech new entrants. 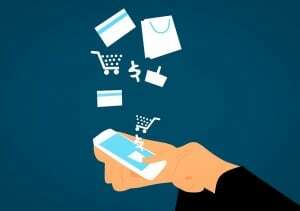 The Financial Services Authority (OJK) of Indonesia and relevant agencies have been holding FinTech festivals to increase consumers’ awareness and access to new applications. During the yearly FinTech conference Finspire 2017 on October 19, Mandiri Capital Indonesia (MCI) has invested approximately 300 billion IDR (US$22.4 million) in seven FinTech startups. Private lender BTPN also catches up with the digital wave and spent 1.3 trillion (S$131 million) to develop a digital platform. For the purpose of sharing knowledge, insights and ideas on this financial service ecosystem, all FinTech organizations and regulators, financial institutions, digital professionals have gathered at this event. Investors, founders, students, entrepreneurs, and startups were invited to participate in this event to accelerate FinTech development and discuss the future of FinTech in Indonesia. Furthermore, OJK with the support of Central Bank of Indonesia has implemented a FinTech registration system for startups. This has proved that FinTech is formally recognized. As of June 2017, a total of eight startups have registered, and much more in the process. The inauguration for FinTech Advisory Forum also happened around the same time to direct the FinTech industry’s development. There are also challenges in pursuing FinTech for all startups doing business in Indonesia. The very positive image of Indonesian banks gets in the way of entrepreneurial FinTech startups. In Indonesia, FinTech payment options for both in-person and online transactions are still not widely available at merchants. If they do offer option, consumers will have to pay an extra percentage for transaction. Most large startups in Indonesia are riding the wave and came up with more applications for a cashless Indonesian society. However, to be totally cashless will still take some time, and lots of homework to do for all stakeholders. Because some companies still operate e-wallets without the right business license in Indonesia. The FinTech lending startups will face some competition on all fronts due to the foreign companies in Indonesia such as Chinese FinTechs. A big part of FinTech startups thinks that the process of regulations in Indonesia is too slow and too ambiguous. The government still needs to take steps to ensure clearer regulatory requirements and a better environment for FinTech startups—to boost the confidence of FinTech startup founders and investors in Indonesia. Overall, starting a FinTech startup in Indonesia requires patience, mainly because of issuing licenses provided by OJK and Bank of Indonesia. However, the process itself might be ambiguous as there were new regulations. Thanks to our vast network and regular consultations with the governmental institutions like OJK and Bank Indonesia, Cekindo takes pride in assisting you with professional expertise while starting your FinTech business in Indonesia. 2016 marked the first time that FinTech investments number overtook Southeast Asia’s ecommerce—the highest by amount with US$421M. Investments in Indonesian FinTech startups have hit a record in 2017 and expected to progress in 2018. Digital payments hit a total transaction of US$18 million in 2017. Moving forward, the government in Indonesia also specifies FinTech integration and improved payment infrastructure the key for e-commerce. In addition, OJK in Indonesia has been actively setting measures to promote the growth of FinTech starting a business in Indonesia, while giving out the appropriate guideline to manage potential risks and challenges. Despite all great opportunities ahead, regulators in Indonesia will need to know how to balance the desire to encourage new businesses, so as to intensify competition, and provide better customer services in the sector, while protecting the system and consumers from excessively risky behaviour and potential disruption. 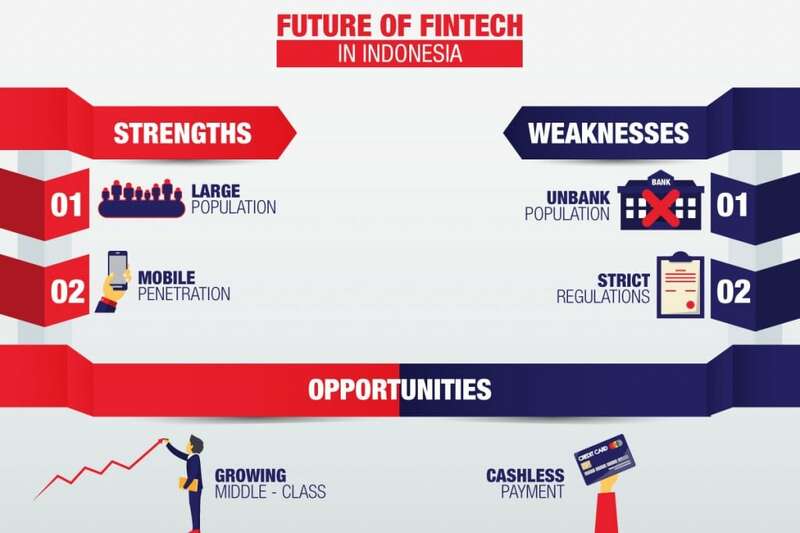 Being able to observe the current trends pushed by FinTech startups locally and globally, the future of FinTech landscape has a huge and optimistic potential in Indonesia. If the government is able to provide rules with clarity and increase the data security and consumer protection, FinTech in Indonesia will become the national priority to improve the lives of all Indonesians. To fulfill this scenario, the government needs to resolve geographical barriers, tackle environmental challenges, and meet customer expectations. With Cekindo, you can keep pace with the hot topics for FinTech climate and its development in Indonesia. Thank you for the article, it is support my research.